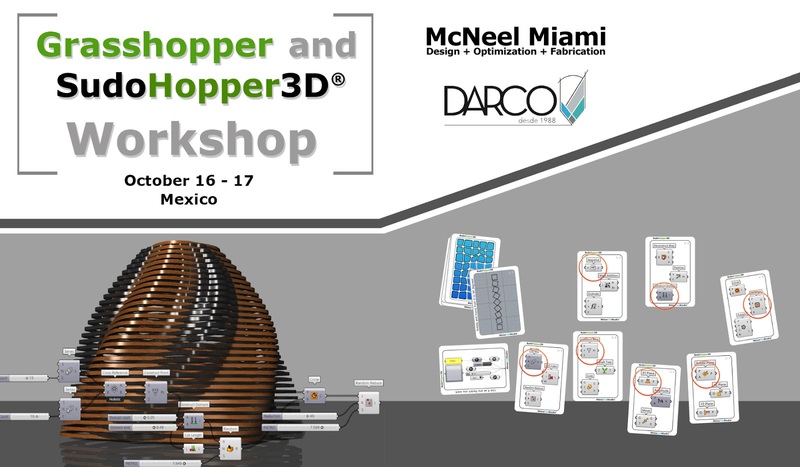 Darco, a digital architecture consulting company in México, invites you to join their workshop on Grasshopper in October. The workshop is led by RhinoFabStudio Director and Rhino & Grasshopper specialist, Andres Gonzalez! The workshop is addressed to architects, product designers, jewelers, and designers in general. Participants will be able to create their own definitions in order to speed up the design in their respective areas of work. Basic knowledge of Rhino is required to take this course. Participants will receive VIP access for a whole year of SudoHopper3D's didactic material! For more information and to register please contact Claudia Perez.